FEE: $575. Early bird (prior to February 13) $475 . Includes morning and afternoon refreshments, lunch, handouts and Continuing Education credits and Certificate. Please contact us at nachasconsulting@gmail.com for special group and student rates. About the Workshop: This workshop provides a comprehensive overview of core CBT strategies for anxiety-related disorders (e.g., panic disorder, generalized anxiety disorder, social anxiety, OCD, PTSD, health anxiety, phobias), depression, anger management, perfectionism, insomnia, and other problems, in both adults and children. Participants will learn about a variety of effective strategies, including cognitive approaches (e.g., cognitive reappraisal, Socratic questioning, behavioral experiments, imagery-based approaches), exposure-based techniques, behavioral activation, habit reversal, relaxation-based treatments, problem solving, mindfulness and acceptance-based strategies, and relapse prevention. Effective tools for dealing with treatment resistance (such as motivational interviewing) will also be discussed, as will strategies for dealing with complex cases and comorbidity. Case conceptualization and transdiagnostic approaches will also be reviewed. Techniques will be illustrated using video recorded therapy sessions and participants will receive a detailed handout. Dr. Antony received his PhD in clinical psychology from the University at Albany, State University of New York in 1994. He is internationally known for his books and research in the areas of anxiety disorders, perfectionism, cognitive-behavioral therapy, and assessment of psychological disorders. He has published 30 books, including a variety of evidence-based self-help manuals (e.g., Shyness and Social Anxiety Workbook, 3rd ed. ; When Perfect Isn’t Good Enough, 2nd ed. 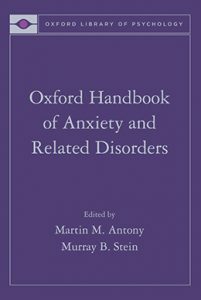 ; The Anti-Anxiety Workbook), Practical books for therapists (e.g., Cognitive-Behavioural Therapy for Perfectionism; Handbook of Assessment and Treatment Planning for Psychological Disorders, 2nd ed. 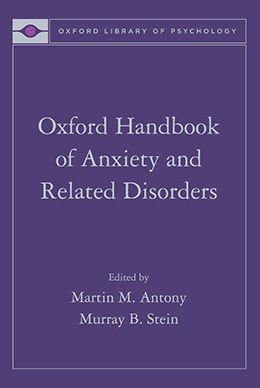 ), and research texts (e.g., Obsessive Compulsive Disorder; Oxford Handbook of Anxiety and Related Disorders). 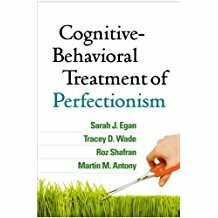 In addition to these books, Dr. Antony has published more than 225 scientific articles and book chapters in areas related to cognitive behavior therapy, obsessive compulsive disorder, panic disorder, social phobia, specific phobia, and perfectionism. He has also held more than $2 million in research funding from a variety of national and international agencies. Dr. Antony has received career awards from the Society of Clinical Psychology (American Psychological Association), the Canadian Psychological Association, and the Anxiety Disorders Association of America. He has also served on the Boards of Directors for the Society of Clinical Psychology and the Association for Behavioral and Cognitive Therapies, and as Program Chair for past conventions of the Association for Behavioral and Cognitive Therapies and the Anxiety Disorders Association of America. Dr. Antony trains and supervises numerous students in psychology, psychiatry, and other disciplines. He has given more than 300 workshops and presentations to professionals across four continents. He has also been interviewed, featured, or quoted more than 450 times in various print, radio, television, and online media outlets, including the CBC, CNN, CTV, the Globe and Mail, National Post, Toronto Star, New York Times, Washington Post, Chatelaine Magazine, O (Oprah) Magazine, Reader’s Digest, Prevention Magazine, Scientific American Mind and many others. Psychologists and Social workers who participate in this course will receive 12 continuing education clock hours. A continuing education certificate for the event will be obtained using the website, CE-Go. Approximately 1-2 days after the event, you will receive an email containing a link to CE-Go. (This link will be sent to the email account you used to register for the event). Describe strategies for dealing with treatment challenges in CBT, such as resistance. Describe methods for preventing relapse in CBT. If you are registering during the early bird time frame please enter coupon code EB0318 (CAPS) to receive your discount. The CE Credits Fee of 25.00 is waived during the early bird registration time period.